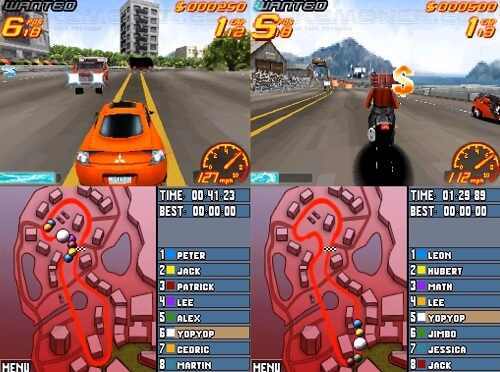 Asphalt Urban GT is a racing video game for the Nintendo DS and the Nokia N-Gage handheld video game consoles. It was developed by Gameloft and published by Ubisoft, and released on November 21, 2004, making it one of the DS launch titles. It has support for wireless multiplayer with up to four opponents, and takes advantage of the DS's support for 3D graphics (while showing unaccelerated N-Gage's power to match DS's graphics), showing the action from three camera angles. Replays are also available. The bottom screen of the DS is utilized to provide strategic tips and player information. The game sports nine tracks modelled after real-world locations such as Paris and New York City. 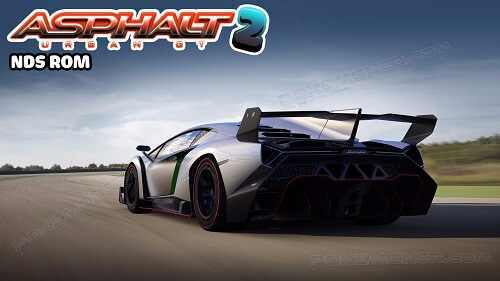 The game's 23 cars are licensed from real manufacturers such as Lamborghini, Hummer, Volkswagen, and others, and can be enhanced with over 30 addons. A sequel to the game was later released. Gameloft later developed further titles in the series, the majority of them were released for mobile devices, with Asphalt 4: Elite Racing being the first to be released for the iOS, and Asphalt 5 marking the first Asphalt series game to be developed and released for Android. A direct conversion of Asphalt 6: Adrenaline entitled Asphalt 3D for the Nintendo 3DS was released to mixed reception. Similarly, Asphalt: Injection for the PlayStation Vita featured tracks from Adrenaline and was released in December 2011. Starting with Adrenaline, ports of the games for personal computers were also developed and released, although only Adrenaline saw an OS X version, with subsequent games in the series being released for Windows 8. A free-to-play spinoff entitled Asphalt Overdrive was released for iOS and Android in September 2014. Unlike prior titles in the series, the game is presented as an "endless runner" in the vein of Temple Run and Subway Surfers, and does not offer a traditional racing mode.